“Exploring Mars, Discovering Earth” was a campaign of networked Mars analog demonstrations to celebrate World Space Week (WSW) 2013 from 4-10 October 2013. The events were coordinated from the WSW 2013 Mission Control Center, located at the Austrian Space Forum (OeWF) in Innsbruck, Austria. Activities included the WSW 2013 Mission to Mars, a 4-day simulation of a human Mars expedition at the Mars Desert Research Station in Utah. Other highlights included rover operations by teams in Chile, Germany, Hungary, Poland,and the US, as well as a multiple EVA with analog spacesuits in Austria, the US and France. All of these activities were viewable live online and will provided opportunities for interaction over the Internet to school groups and museums around the world. “Exploring Mars, Discovering Earth” was organised by the World Space Week Association, in partnership with the Space Generation Advisory Council, The Mars Society, the OeWF and the Kiwispace Foundation. People from all over the world were invited to send us a rock from their local area to be combined together in a “Earth Master Sample”. In Austria we cominbed all samples incl. 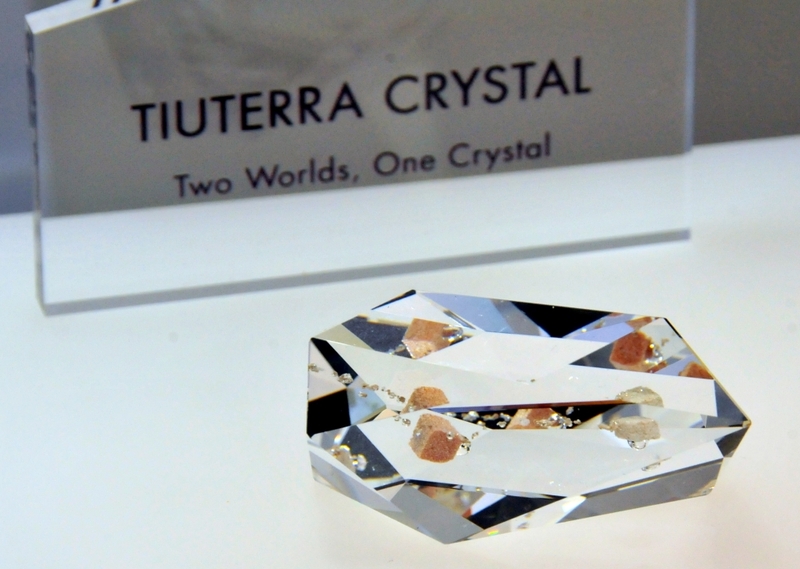 a sample from Antartica and the deep see together with a Mars meteorite. Swarovski then transformed then into the TiuTerra Crystal which then flew with Samantha Cristoforetti to the International Space Station. For the first time, three Mars analogue suit development teams around the world have performed simultaneous experiments, coordinated from a single mission control centre. 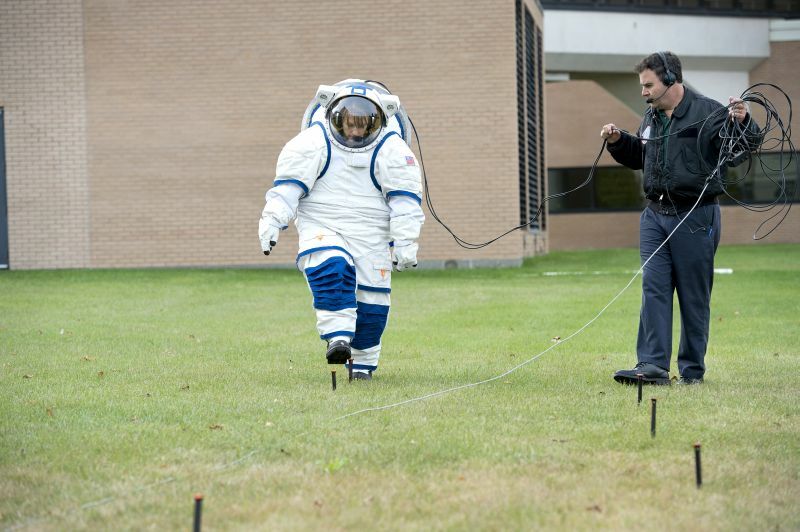 The experiments are a first step in developing a universal standard for comparing Mars analogue suits in terms of the impact they have on the agility and dexterity of the suit wearers. Analogue suits at the Mars Desert Research Station (MDRS), Utah, USA. Commander Jon Rask is a Research Scientist in the Space Biosciences Division at NASA Ames Research Center. His current research focuses on human health effects of space flight and the exploration of the Moon and Mars. Jon has characterized the toxicity and abrasiveness of Apollo lunar dust specimens, and developed novel brick-like regolith biocomposite technologies made from lunar dust simulants. Jon Rask has also developed and tested life science hardware and experiments that flew aboard the Space Shuttle and the International Space Station. He has performed experiment operations aboard the NASA C9B parabolic aircraft. 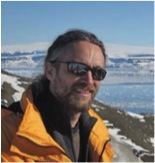 Jon has been involved in Mars analog research at the MDRS, in the Mojave desert, in the Empty Quarter Desert of the Middle East, in deserts of Western Australia, North Dakota, in the Arctic on Svalbard, and in Antarctica, where he has tested prototype space suit technology, operated at the Amundsen-Scott South Pole Station. 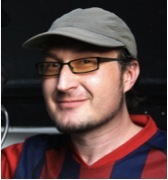 Most recently, Jon has served as the PI for a human study aboard the NASA Ames Human Performance Centrifuge. First Officer Haritina is a life scientist with background in biology, chemistry, horticultural engineering, environmental management, communication, biosecurity and international security. She currently works for the Ministry for Primary Industries (MPI) of New Zealand as a Biosecurity Risk Analyst being one of the designers of the Emerging Risks System, protecting New Zealand from biological risk. Haritina also lectures at the Carter Observatory, Wellington. 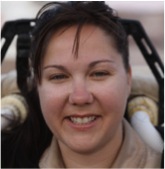 Passionate about life sciences, astrobiology, astronomy and culture, she participated in the Mars Desert Research Station (MDRS) analog exploration program with crew 98 RoMars 2011 (First Officer), crew 118 KiwiMars 2012 (Commander), crew 123 TasMars 2013 (Mission Director) and is part of the MDRS Astronomy Outreach Crew. Randall Dunning holds a MSc in physics from the Utah State University and has worked as a interpretive park ranger in Colorado and Utah. His medical training includes CPR/AED and Advanced First Aid Certified as well as an active license in Wilderness First Response. At the MDRS he is also a member of the Musk Observatory Astronomy Team. Born in Cape Canaveral, FL, Tricia’s father worked at Kennedy Space Center and hence she has been around space science all her life. She served as President of the Brevard Astronomical Society for several years. During her time working for Badlands National Park as a Night Sky Ranger, she organized the first ever Badlands Astronomy Festival. Her passion for preserving the night sky, organizing outreach events for space science organizations, and amateur astronomy has landed her on “Mars”, as a member of the MDRS Astronomy Team. She served on her first crew in July, during the 2013 Summer Astronomy Refit Crew. She specializes in astronomy outreach and public relations. She is working on her undergraduate degree at Eastern Florida State College, majoring in Astronomy and Organizational Management. Jean Hunter is an Associate Professor at Cornell University’s Department of Biological and Environmental Engineering. Her research interests include food engineering and the use of fermentation and enzyme technologies to produce useful products from food and agricultural wastes. 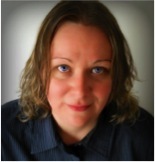 Most of her work during the last 10 years has focused space life support including testing and optimization of food systems for long term planetary missions, small scale processing of food materials and agricultural residues in bioregenerative life support systems, in-situ resource utilization, water recovery, and solid waste processing. She has been active at MDRS as a CapCom, a member of the Remote Science Team and lead investigator of the MDRS food study. The Mars Desert Research Station (MDRS) in the San Rafael desert of Utah (close to Hanksville) is operated by the Mars Society to serve as a test bed for planetary surface operation studies, helping to deﬁne key habitat design features, ﬁeld exploration strategies, tools, technologies and crew selection protocols. Typically, six-person crews spend two weeks during the field seasons starting towards the end of the year. The station has a central habitat, a greenhab, a small observatory and technical support infrastructure. For the research activities, it offers basic spacesuit simulators, three All-Terrain Vehicles and a small bio/geo laboratory. Mission Science During the World Space Week analog mission, the six MDRS crew will simulate elements of a human Mars operation. The mission will focus on outreach & education and will also carry out a suite of scientific experiments under the command of Jon Rask (First Officer: Haritina Mogosanu). D-TREX D-TREX is a planning tool based on statistical measurement, which shows the average time delay between performing typical activities with the spacesuit (Extra Vehicular Activities – EVA) as compared to performing same activities unsuited. 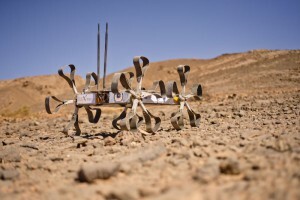 D-TREX is a follow-up experiment of the DELTA© experiment, which was first performed during the MARS2013 mission of the Austrian Space Forum in Morocco. Multiple Spacesuit EVA To establish a practicable standard delay measurement for spacesuits used for future Mars analog missions, DELTA© and D-TREX will be further developed into DELTABOX, a standard toolbox with instructions, allowing easy repeatability independent from any mission architecture. As a foundation for this, there will be a multiple EVA held on Tuesday 8 October 2013 with participation from spacesuit testers at the MDRS, the OeWF’s Aouda.X programme in Innsbruck and the North Dakota Human Spaceflight Laboratory’s NDX programme. Change Detection The MDRS crew will document small scale geomorphological changes due to weathering four locations previously studied. Sand Sampling Experiment Analysis of sand samples as possible Mars analogues for future rover tests. SediChem Small scale (0.5 – 1 cm) hematite spherules, known as ‘concretions’ have been identified on Mars by the Opportunity and Curiosity Rovers, and have also been found in the area surrounding the MDRS. 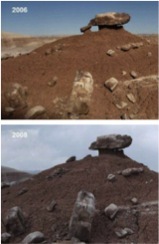 The MDRS team will take close-up images of the concretions in rocky outcrops and collect hand-sized samples for further study. Description Aouda.X is a spacesuit simulator for planetary surface exploration, which the Austrian Space Forum has developed within the Mars analog research program „PolAres“. Aouda.X is able to mimic border conditions that a real Mars spacesuit would provide. 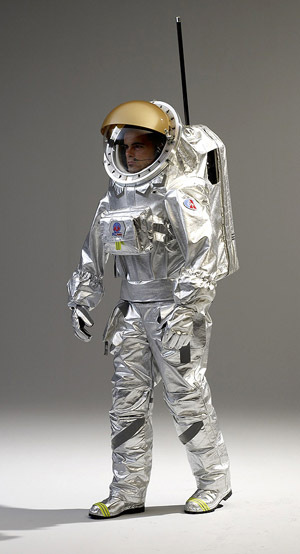 The purpose of this spacesuit is to study contamination vectors in planetary exploration analog environments and create limitations depending on the pressure regime chosen for simulation. The outer hull consists of a Panox/Kevlar tissue with aluminum coating and the suit can perform within a tested temperature range from -100°C to +35°C. An advanced human-machine interface, a set of sensors and purpose designed software act as a local virtual assistant to the crewman. 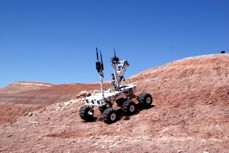 Aouda.X is designed to interact with other field components like the rover and various instruments. Description The Compagnie Maritime d’Expertise or COMEX is a worldwide pioneer in the development of technologies for human interventions in extreme environments. COMEX is active today in various fields related to subsea intervention. The enterprise has a fleet of Research Vessels for Oceanographic research and survey, subsea robots that can dive down to 2500m and even a manned submersible “REMORA 2000” for a crew of two. Comex still holds the two deepest world professional diving records with hydrogen gas mixture. The first, named HYDRA 8, was performed in offshore conditions at -534 Metres Sea Water (MSW) depth (1988). The second one HYDRA 10 was achieved in an hyperbaric chamber at -701 MSW depth (1992). 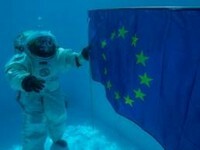 In the 1990s COMEX participated in the training of European astronauts underwater, where microgravity (weightlessness) can be simulated. During the World Space Week we will present our training tools and recent projects to train astronauts for future missions to Moon and Mars, such as the APOLLO XI UNDER THE SEA MISSION. Description The NDX-2 is a pressurized analogue space suit prepared for usage during lunar simulations on Earth. This suit was designed in conjunction with the Pressurized Electric Rover to which NDX-2 will ultimately be externally attached. Description The Mars Chamber aims to reproduce environmental conditions, to which samples will be exposed during an analysis by the Raman Laser Spectrometer (RLS). Samples are prepared and placed into the Analytical Laboratory Drawer (ALD) inside the ESA-lead ExoMars rover after extraction from Martian subsurface. Description The Part-Time Scientists Rover, Asimov, will be the one to do the field work on the moon – moving about and transmitting video back from there. The name giver of the rover, Isaac Asimov, was a professor of biochemistry and a world renowned author of both popular fiction and science fiction. His biggest science fiction series were the ‘Foundation series’, the ‘Galactic Empire series’, and the ‘Robot series’. In the Robot series he invented the ‘three laws of robotics’, and did much to imagine the many ways robots could be helpful to people and humanity. 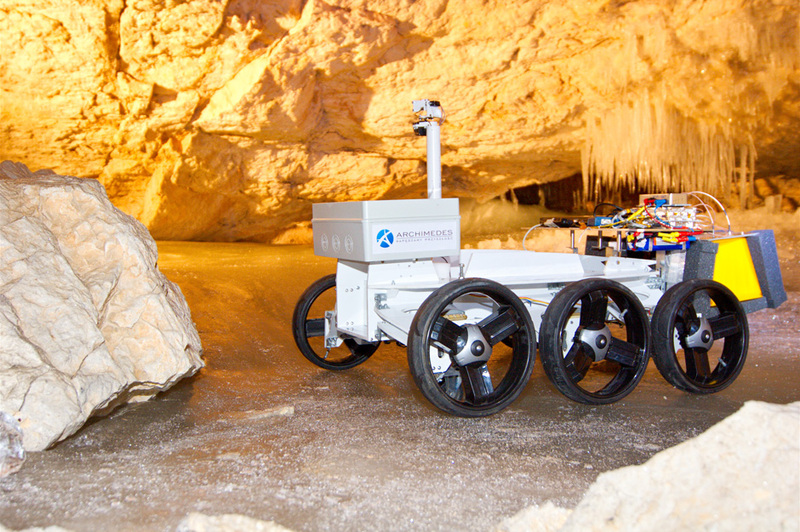 Description Bridget was designed and developed by Astrium in the UK to study a number of engineering solutions in preparation for the European Space Agency’s ExoMars mission. She was used extensively for the development and testing of the locomotion, suspension and steering systems and was then reconfigured to incorporate flight performance stereo cameras and an autonomous navigation system. 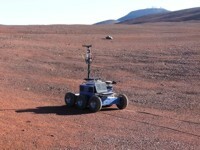 Though Bridget has handed over most of the development work to her ‘sons’ Bradley and especially Bruno, the latest prototype, she is often brought out of retirement to provide a realistic test platform for the many instruments, cameras and computers that are being prepared for ExoMars and future robotic missions. Instruments tested on Bridget during World Space Week include PanCam, the science ‘eyes’ for the mission, which features a novel colour correction system to ensure that images sent back to earth truly represent the colours on Mars. Description Hyperion is a Mars rover prototype created by students of Technical University of Bialystok in order to compete in University Rover Challenge. Hyperion won this challenge in June 2013 with the highest score in the history of competition (493 points on 500 max). 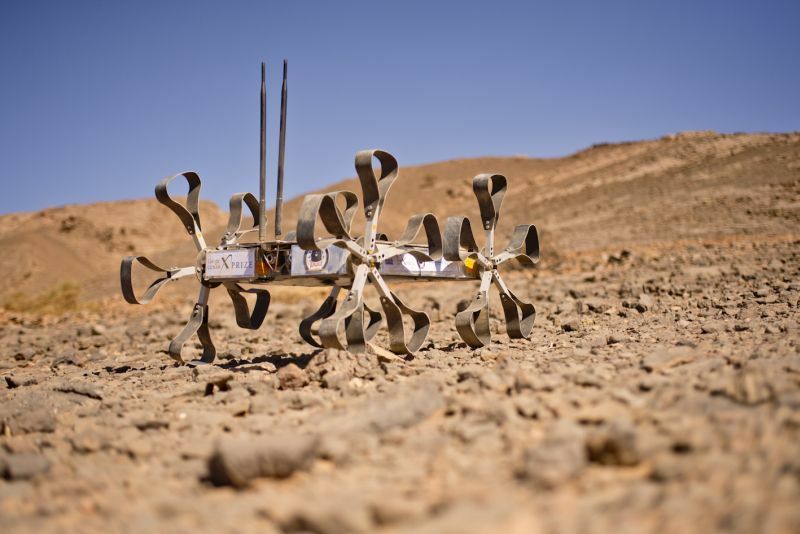 The rover is equipped with an articulated manipulator with 6 degrees of freedom, three cameras and a GPS system. Description The Magma White rover can be used as a mobile science and measuring platform. Its main scientific functions are: taking soil samples, lifting and grabbing stones and acting as a platform for other experiments including L.I.F.E., which allows for identification of biomarker molecules (chlorophyllium and phycoerythrin) with a laser resonance signal. Description MAVRIC is a simulated Mars rover designed by student engineers from Iowa State University. 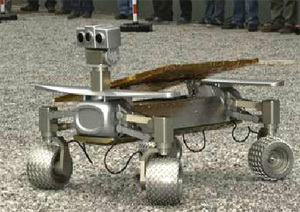 It is designed to traverse rough terrain and interact with its environment using an attached robotic arm. Description MRover is a student-run, multidisciplinary project whose mission is to design, build, and test a rover for the exploration of extraterrestrial environments and to assist astronauts. 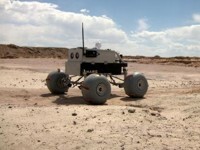 MRover is a competition oriented team whose goal is to win the University Rover Challenge that takes place at NASA’s Mars Desert Research Station near Hanksville, Utah. Description Puli Space is the Hungarian team striving to create the smartest rover of its kind within the GLXP competition. The Puli rover is a small, 4-wheeled 10kg construction, capable of moving on rough terrain, up to 45o slopes, in deep regolith (much finer grains than sand), as well as on rocky surfaces. Remotely supervised navigation is based on stereo cameras that record high quality pictures. 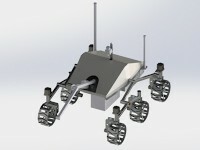 Rover is equipped with thermal, current and voltage sensors.